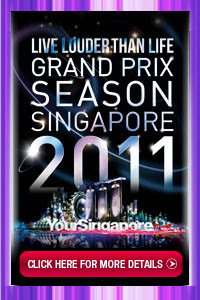 Grand Prix Season Singapore (GPSS) is happening on September 16-25, 2011 with the theme, “Live Louder Than Life.” It gives us the feel that the energy is pumping high and events are just phenomenal! From “It’s Going To Get Loud” (last year’s theme), it is expected that the power and excitement will be by far a notch higher as parties and concert scenes take center stage in this year’s GPSS. 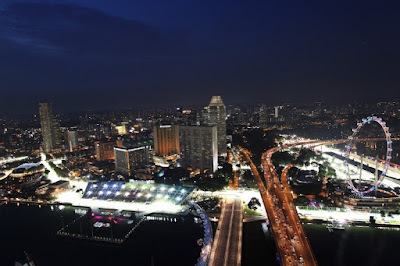 Since this big event is happening for Ten (10) days, here are Ten (10) Reasons why you should 'Live Louder Than Life' at the Grand Prix Season Singapore. Singapore has been heralded as the ‘the jewel’ of the Formula One event as the only site to hold the race at night. On its 4th year since 2008, Singapore sets a bigger, better and louder Grand Prix Season celebration ever! The Grand Prix motor racing began in 1894 in France and all the other countries where Grand Prix is being held do this race during the day. Brace yourselves as you witness Formula One cars racing at an exhilarating speed of up to 300km/hr. 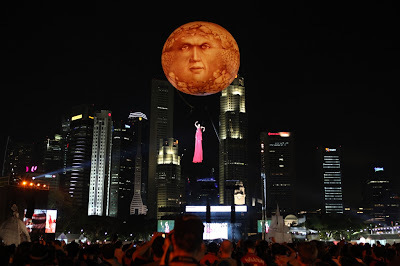 In a small country like Singapore, who would’ve thought that they hold a big world annual event like Grand Prix right in the heart of Southeast Asia? 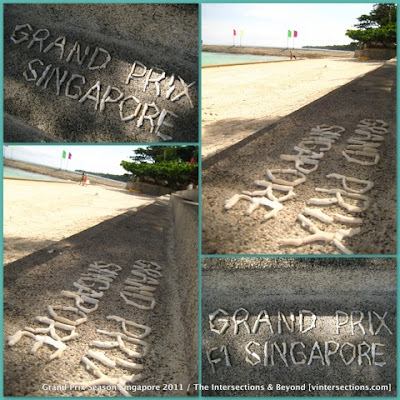 For special airfare packages for Grand Prix Season Singapore, check out Singapore Airlines for more details. As part of the S$5 million entertainment budget for 2011, there are about 400 entertainers who will liven up the ten (10) stages within the race circuit, which include: Padang Stage, Esplanade Park/ Esplanade Outdoor Theater, Victoria Theater and Concert Hall, Village Stage, Bay Floating Platform, etc. Powerhouse artists who will grace the concert scene including: LINKIN PARK, CHARICE PEMPENGCO, SHAKIRA, SHAGGY, DADDY G 7 3D, ZOUK, RICK ASTLEY & BOY GEORGE. 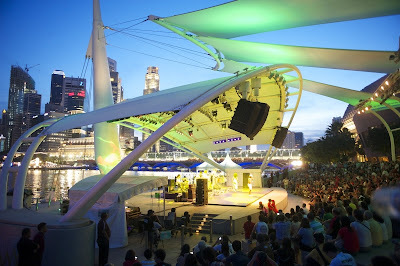 Dance groups will also fire up the stage with groundbreaking performances from: The Cast of BOLLYWOOD EXPRESS, TRANSE EXPRESS, JAIPUR MAHARAJA BRASS BAND, SAMBA BRASIL, FRITTI, etc. Grand Prix Singapore is not only a celebration of sports car racing & music, but also a display and demonstration of talents in the visual arts. 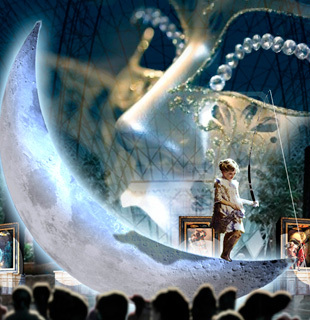 As an artist and art educator, these I will not let to just pass by: LA TERRA AL CENTRO DELL’UNIVERSO (a recreation of the 10 planets based on the actual NASA imagery), VENETIAN FESTIVAL (classical theater by Studio Festi), OCEAN SYMPHONY (an underwater performance by Studio Festi), and especially BRIAN OLSEN who will showcase his brilliant art in motion, creating portraits by splashing paints onto a blank canvas. I really wish I could interview the creators of these art masterpieces and most especially my new art idol, Brian Olsen. I am just mesmerized by his spirit of creation and the energy that comes out from his deep passions. It is my sincerest hope that if given the chance I would want to also learn from him how he does his art. He is really an amazing artist! I am just in awe of him!!! 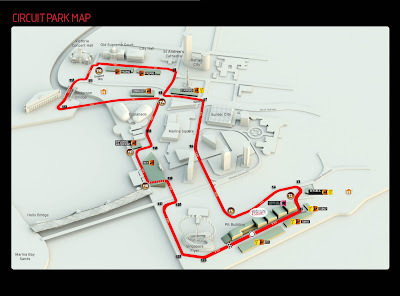 2011 looks to be an unpredictable season and thrilling moment with five (5) former champions competing in the race, new drivers on the grid, participants will be surprised with some technical rule changes. 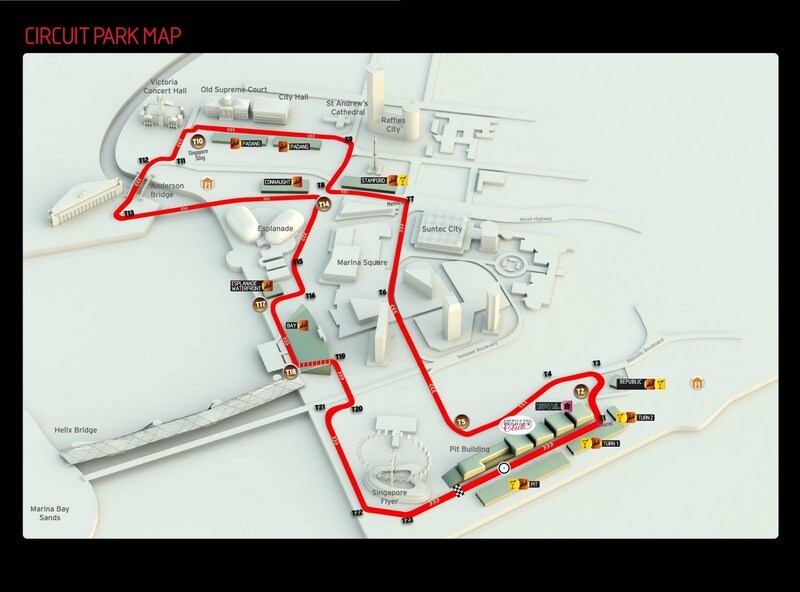 The 5.073 km Marina Bay Street Circuit will use a combination of long straights and challenging turns, to test the magnificent skills of the finest race drivers to grace the occasion. An American rock band from Agoura Hills, California & Grammy award winner LINKIN PARK performs on a one-night only concert at the Padang stage on September 25 (race day). The first 2,000 fans/spectators to arrive get a limited edition wristband at the stage front while getting a close-up look at the 6 Linkin Park boys: Chester Bennington, Rob Bourdon, Brad Delson, Dave Farrell, Joe Hahn & Mike Shinoda. Formed in 1996, Linkin Park is now on its 15th year of fame and this is not to be missed! 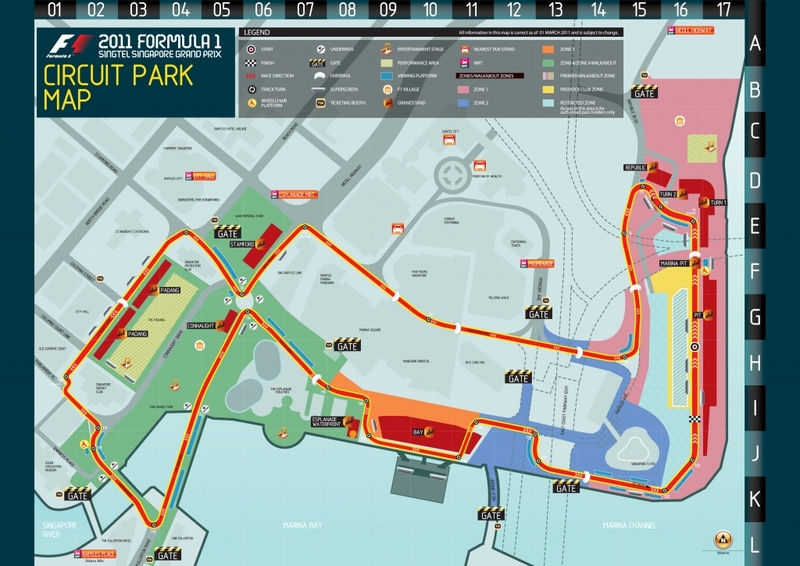 Want to meet the Formula One drivers, stars and celebrities before and after the race? 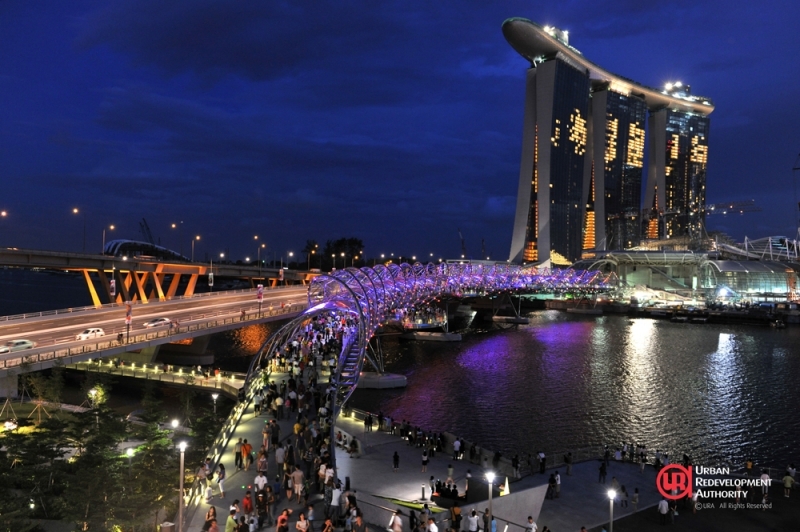 Visit two of Singapore’s hippest clubs - Amber Lounge & Podium Lounge on September 24 & 25 - to have some autographs signed, photos taken and have some unforgettable chats with them. Podium Lounge features international DJs in their lineup (like Surf of Boracay, Philippines; Alex EsA of Amsterdam; Cem Seral of Istanbul, and SiFi of London), hautre coutre swimwear fashion show and oodles of G.H. Mumm Champagne. 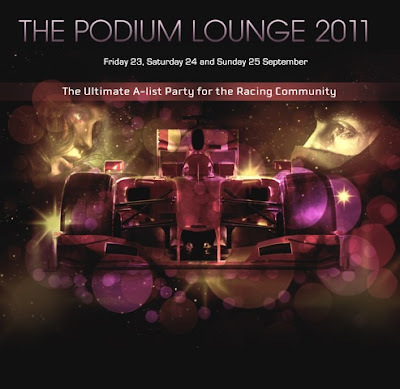 Amber Lounge, on the other hand, is known to be the venue of the ultimate VIP nightlife experience, and after party for all F1 race drivers. Witness the fashion show by designer Frederick Lee, a Girls Night Out Party with DJs Lora and Micky, and F1 Drivers will strut their way on the ramp don with their designer clothes and not their race suits. 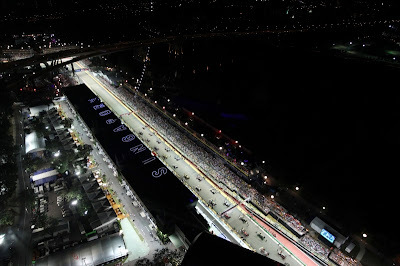 Your F1 experience is not complete without meeting them up close! Who knows, some of them might soon be your close friends on Facebook! 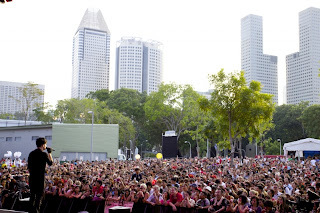 The whole celebration of Grand Prix Season Singapore makes it lively with music concerts performed by various artists. Rev-Up @ Orchard will turn the shopping street into a multi-faceted venue for fashion, entertainment, artistic couture and retail treats. It will be held at the Mandarin Gallery at 6-915pm, organized by Orchard Road Business Association. Sept 16: Nathan Hartono, Sixx, Gamma Rays, Sleeq, Elektone, The Analog Girl, Natalie Hiong, The String Theorist, Omniform, The Great Spy Experiment, Juz B, MICapella, Ling Kai, Kevin Lester, & Wei-En. But wait, there’s more! 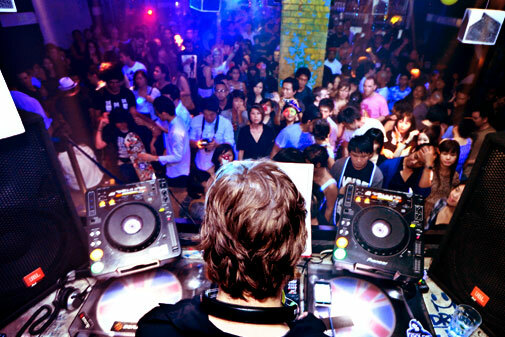 Endless music party also happening at the following venues: 1-Altitude (Sept 23-25), Butter Factory (Sept 24-25), Insomnia (Sept 16-25), Ku De Ta presents Scarlett Etienne (Sept 24-25), and Zouk (Sept 16-25).